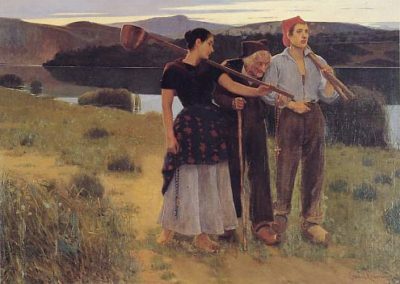 Born in Barcelona in 1860 in a family of artísts, his brother Josep was a also famous Art Nouveau sculptor. J. Llimona abandoned his studies of architecture and engineering by the painting that he improved in the school of Llotja of Barcelona and later in Rome where he accompanied his brother, awarded with a Pension to perfection his knowledges in sculpture in this city. 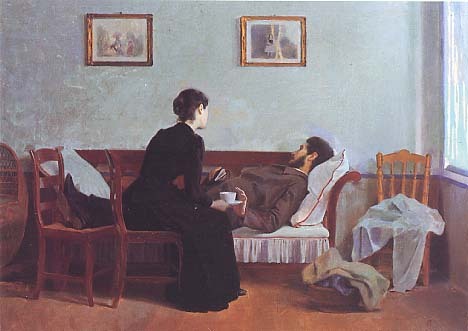 Already since 1882 he participated in some collective expositions in Barcelona, culminating in 1890 in an exposition in the Sala with an enormous success. 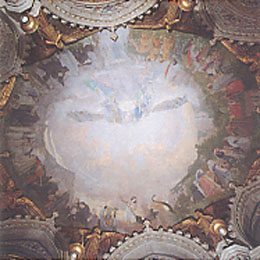 Deeply influenced by its militant Catholicism – that carried to a clash with the Catalan Art Nouveau writer Raimon Casellas -, he painted various religious works of that content – “Crist Venç” (Christ conquers), different paintings in the “Cercle Artistic of Sant Lluc”, decoration of a vault in the Monastery of Montserrat, a frieze of the Church of “The sisters of poor people”, the dome of the Church of the “Carmelites” both in Vic, the canopy of Ripoll (destroyed in 1936) and other in Barcelona, Bràfim, etc. 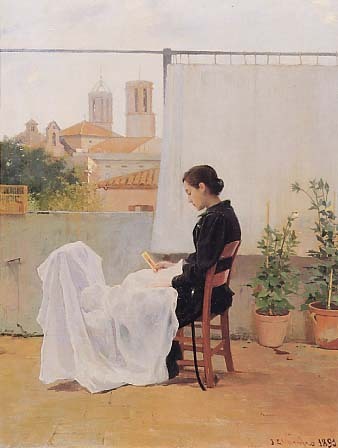 Toward 1905 his painting is influenced by the symbolism, always of religious base, this is visible on the painting of the dining room of the House Recolons of Barcelona. 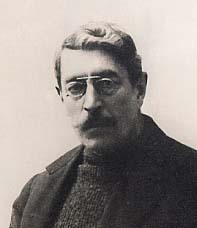 He published diverse articles in several publications of Barcelona as “La veu de Catalunya” (The voice of Catalonia), “The Barretina”, “Catalunya social” (Social Catalonia) and other, almost always on esthetic themes related to his stiff concept of the sexual moral and against the blasphemy. He was member of the “LLiga del bon mot”, literally – League of the good word – and of “Foment de la pietat Catalana”, associations defending a stiff and conservative concept of moral. 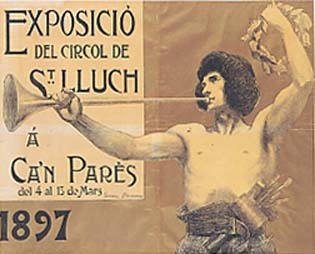 He was also cofounder with his brother and other noticeable artists of the moment of the “Cercle Artístic de Sant Lluc” (already mentioned higher), an important center of diffusion of the traditional catholic moral in the art, who continues very active currently. 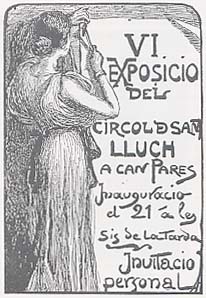 Joan Llimona i Bruguera died in 1926 in Barcelona.